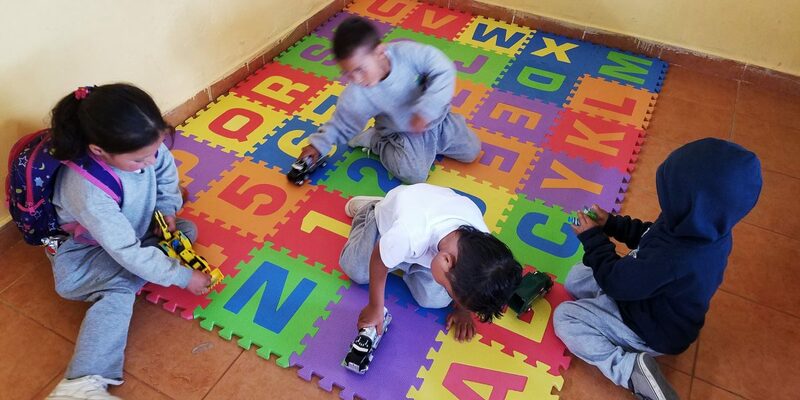 Each time we visited Ecuador we brought toys and supplies for the children of the staff of Casa Mojanda. 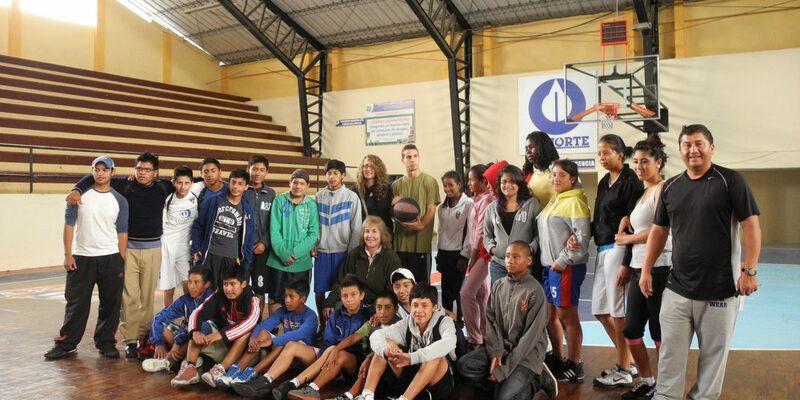 On one trip in 2014, we became friendly with an airport driver who shared that he was also a basketball coach at a local high school and desperately needed sneakers for the poor children at his school. He also spoke of his father who was a beloved teacher at an indigenous school in a remote village high up in the Andes Mountains. 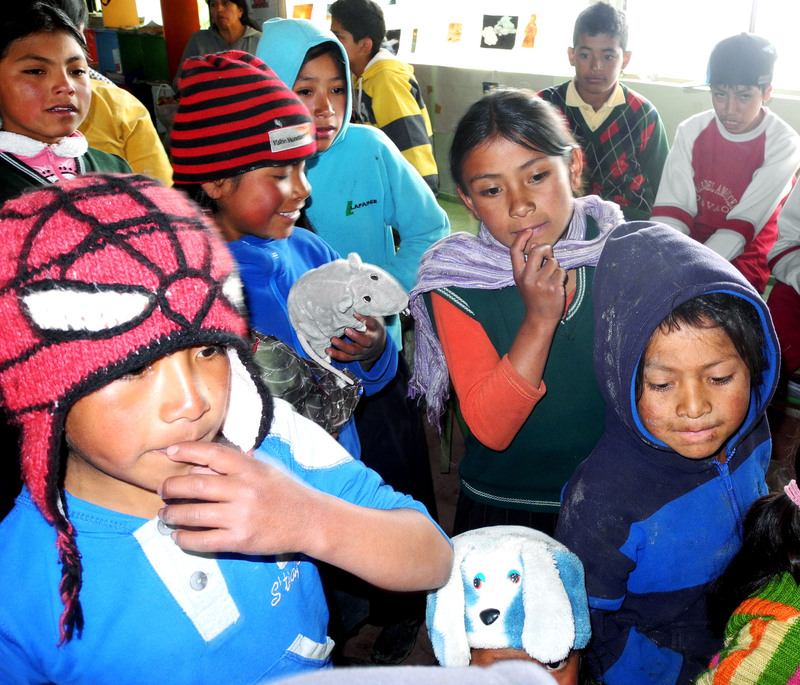 He told us that anything we could bring for those children would also be greatly appreciated. 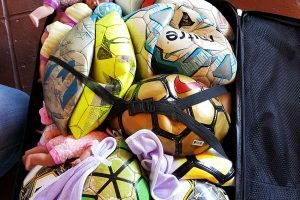 So, before our scheduled next trip, we collected donations of sneakers, school supplies, stuffed animals and clothing. 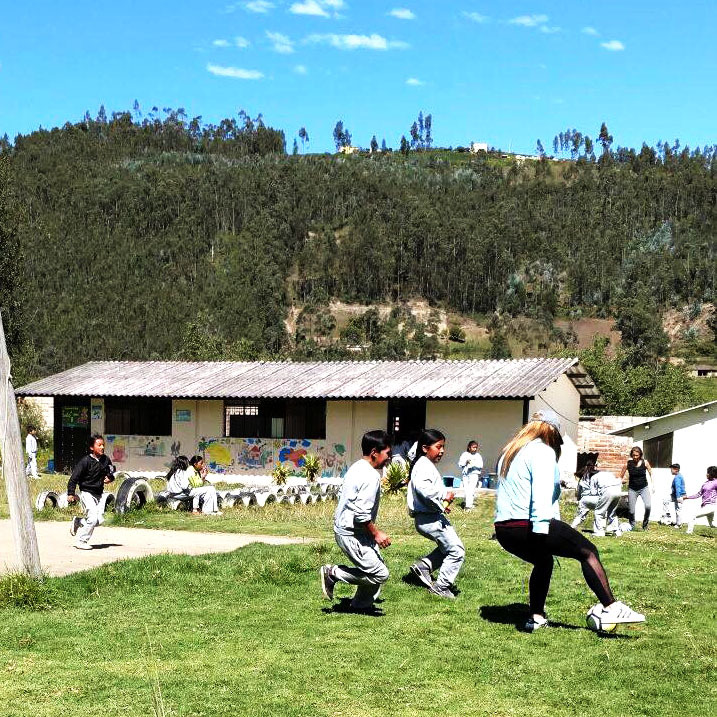 We presented the sneakers to the high school students and the other donations were given to the children up in the mountains at their community Christmas holiday celebration. The high school students collectively thanked us and sent letters of gratitude for our contributions. The indigenous community prepared a homemade meal consisting of potatoes, meat, fava beans and oatmeal milk to express their gratitude. Their response fueled us to do more. 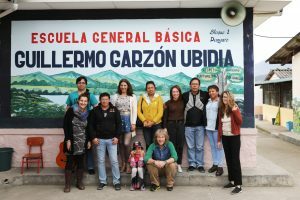 In 2015, another driver heard about our interest in helping the indigenous and poor communities and told us that his wife worked at the local elementary school (Guillermo Garzon Ubidia) at the base of Mojanda hills. We were brought there to speak to her and the director. They shared their need for much support because the government provided limited funds and the families of these children were quite poor. They needed a tile floor for one of the classrooms which was cracked concrete. In February 2016, we purchased the tiling materials and were assured that the families of the children would lay the floor. 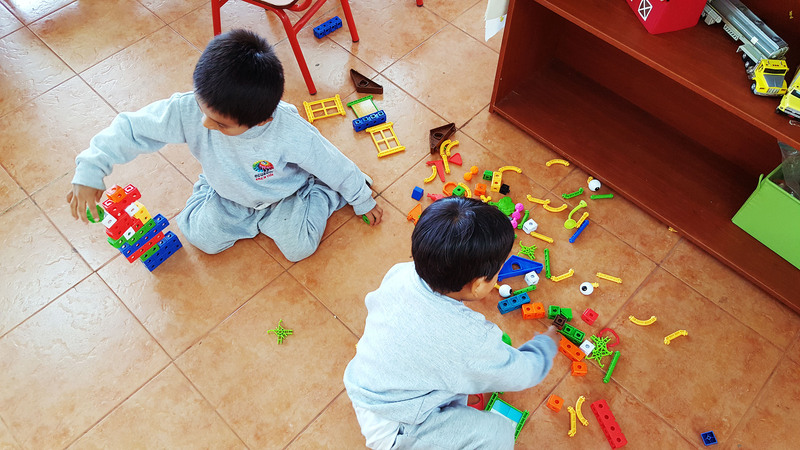 Not only did they lay the flooring, but they also painted the walls yellow and were so delighted to have a brightly renovated classroom. 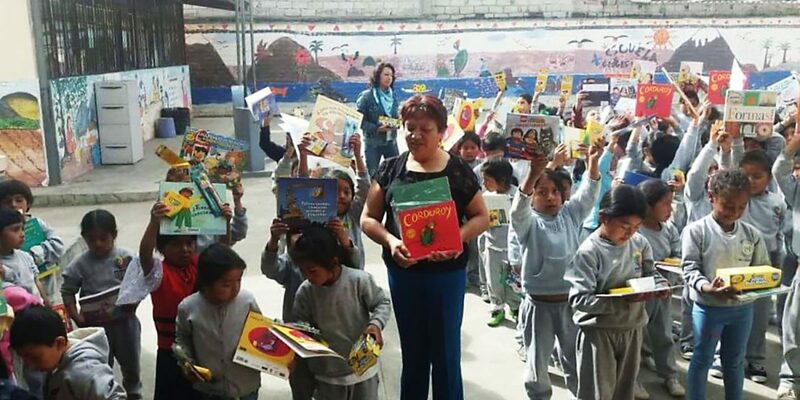 Our next project was to bring donations of over 100 Spanish storybooks for all the classrooms. We asked the director to provide a wish list of other necessary items which included musical instruments, toothpaste, toothbrushes, computer paper, glue, paint, paintbrushes, markers, chalk, calculators, textbooks, and pencils. We returned in the end of August 2016 to provide the school with all the supplies for the upcoming year (many donated from Scholastic book fairs, Crayola, and private contributions). These were distributed amongst all the classrooms and shown to the children when they returned to school in September. 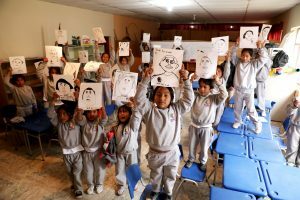 Soon after making the donations it became clear that a critical part of the success of our idea had to include actual instruction for the children and for their teachers. 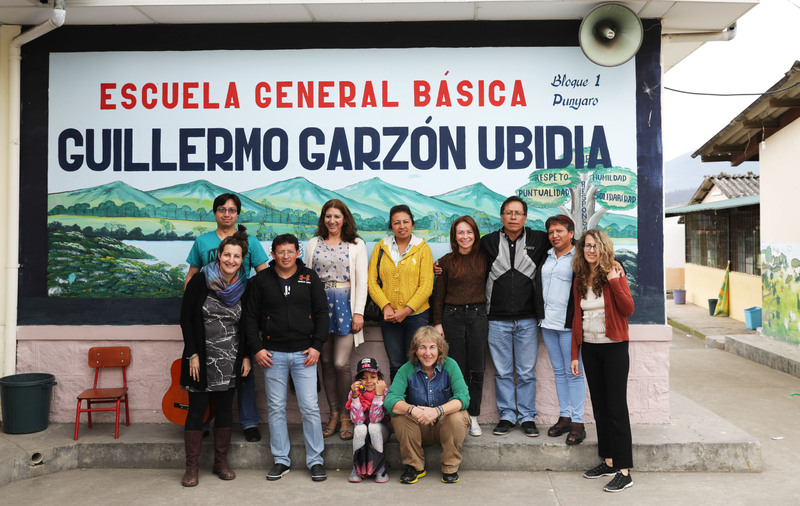 Rachel’s first educational project was to find and bring art teachers from the U.S. to provide art instruction. 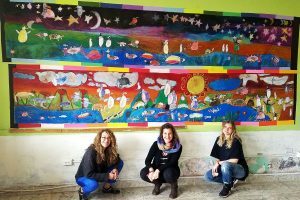 She found two very accomplished art teachers from the NYC school system who volunteered to offer 4 days of intensive art instruction with children grades K-5. 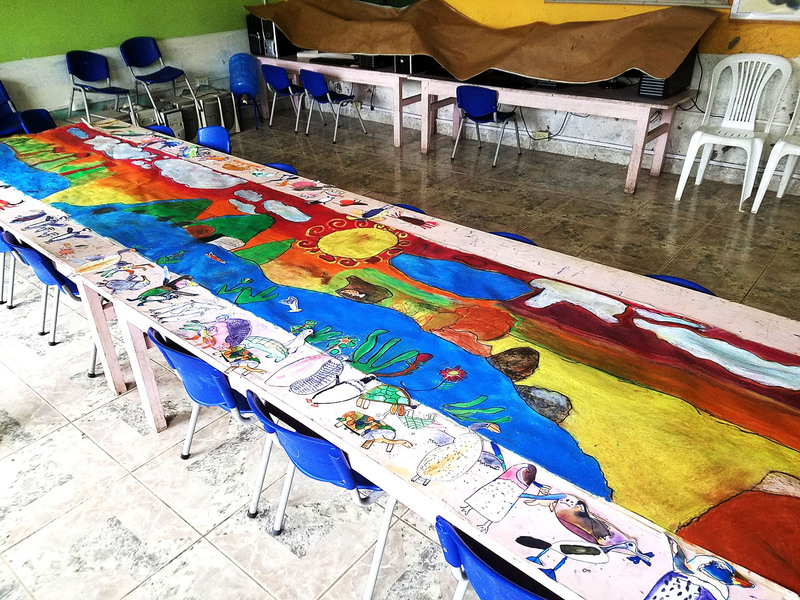 In February, the children of the Ubidia School were immersed in art projects including drawing, water painting, collage, paper sculpture and pastels from 8am- 12:30pm for 4 days. This was documented by a photographer who also volunteered. 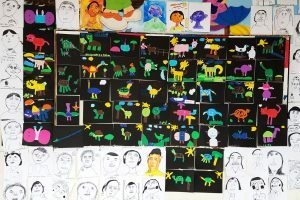 At the end of the week, there was a school wide art exhibit for all the students to see one another’s work. 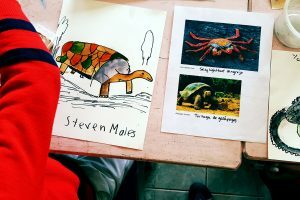 The children’s response to this week long art project was more engaged and enthusiastic than we ever could have imagined. We have concluded that this is the kind of educational experience they are hungry for. 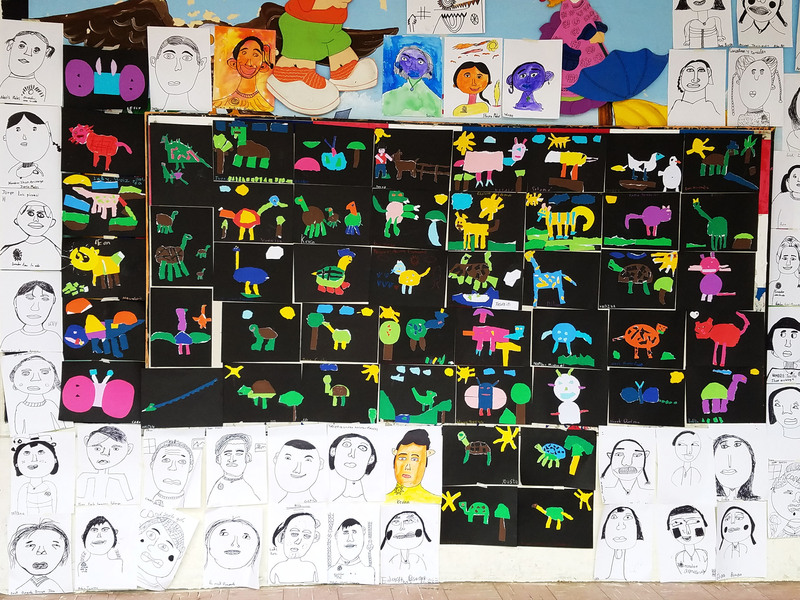 Our hope is to provide more enriching art, music, theater and dance experiences throughout the years as we continue to strengthen our involvement with this school. The work is satisfying for both the receivers and the givers. 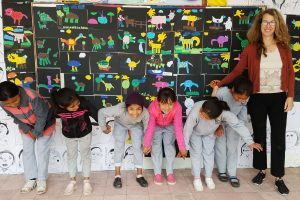 We hope to encourage more volunteers to invest in providing these creative avenues of expression for the children in Otavalo. 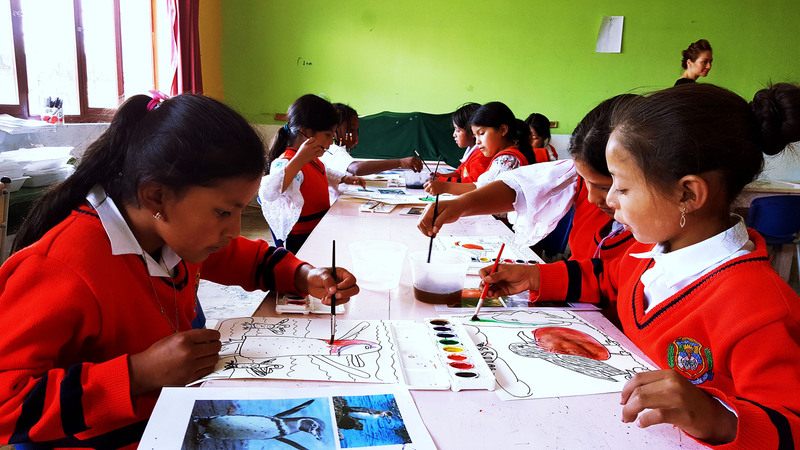 Otavalo is an artisanal town, attracting artists, weavers, musicians and creative types from all over Ecuador and the world. 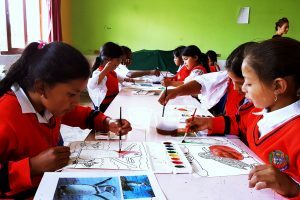 It is hoped that by offering more creative arts within the primary schools, these talents and interests will be nurtured and supported, giving these children more options for self-expression and eventual employment as they mature. 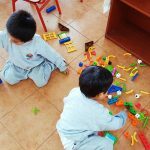 In January 2018, Nancy and Rachel brought enough supplies to fully furnish the preschool classroom with everything they would need from manipulatives, table toys, art materials, puzzles, cars, trucks, animals, dolls, building blocks, instruments, outdoor equipment (jump ropes, balls, hoops, sidewalk chalk) and classroom flooring for reading corners and gross motor areas. 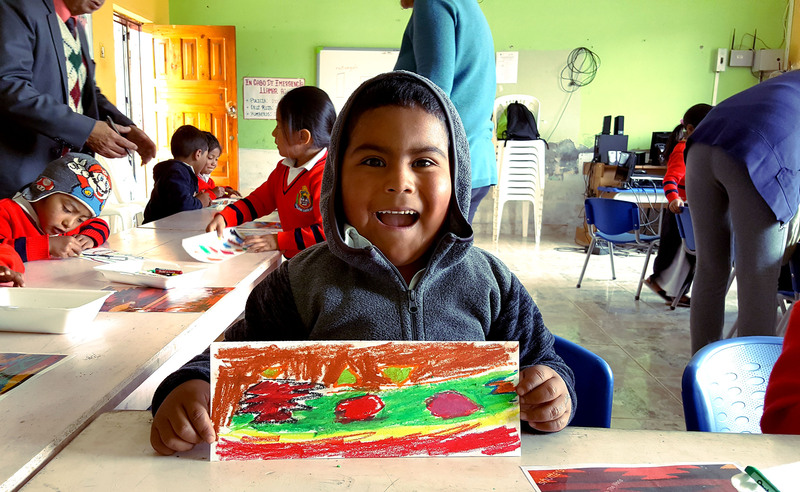 In February 2018, we brought an early childhood assistant teacher for the pre-k classroom to provide art instruction and educational assistance for the wonderful but solo classroom teacher, Lupita. 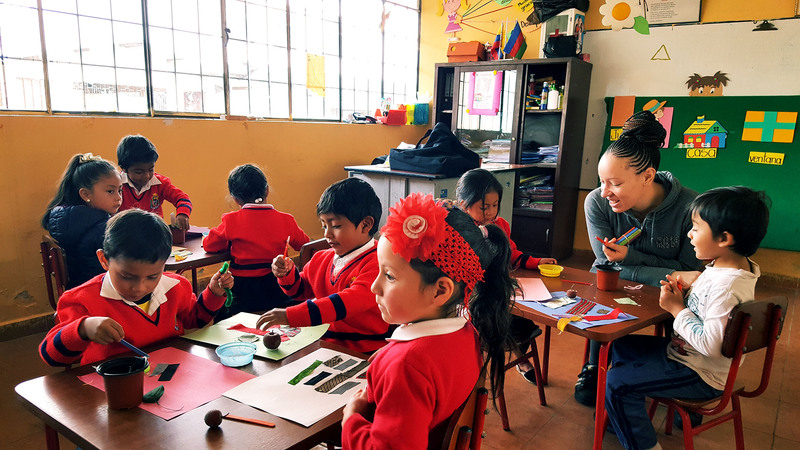 Natalia Richardson worked with the pre-k children providing individual instruction and hands on support for those children in need of more attention. 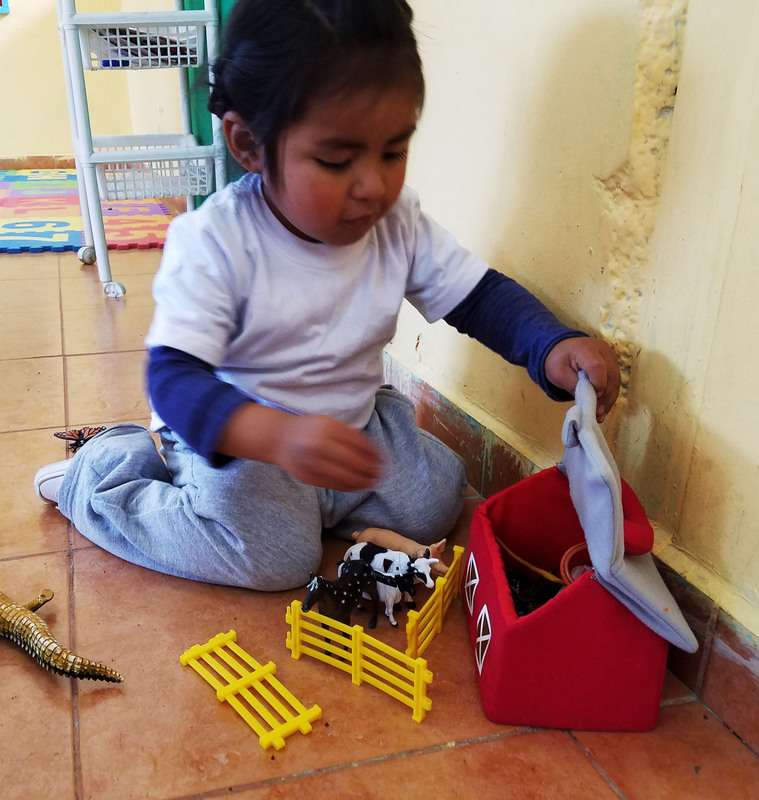 She was a lovely addition to the classroom and Lupita appreciated the extra assistance tremendously. 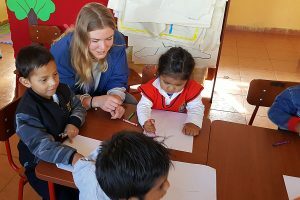 Elin Lindblom, who also assisted with the art project, worked in the preschool classroom during that week and assisted in the creation of collages and development of fine motor skills. 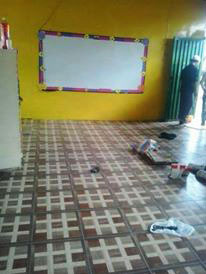 Below is an example of the work that was completed by that classroom over the week. It was a great experience for all involved. 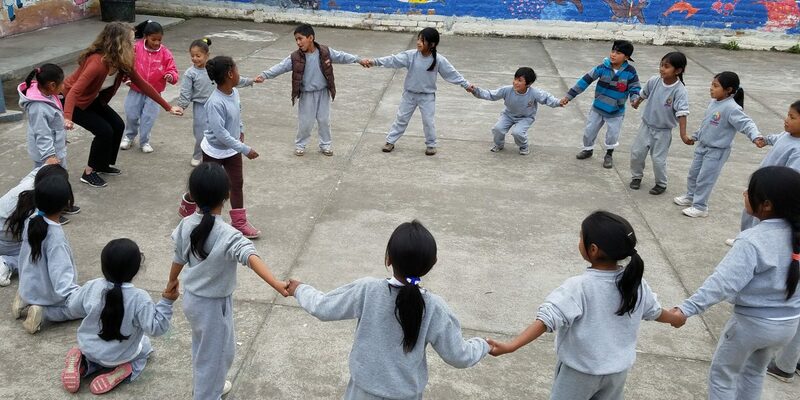 Natalia was terribly sad to leave those loving children and their devoted teacher. 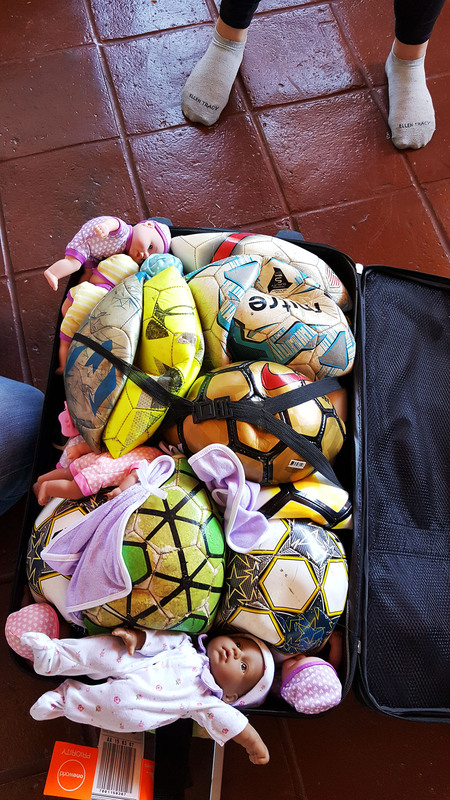 A wonderful donation was made by Jen and her daughter, Cami Johnson (volunteers for Los Peluditos de Ecuador) of 10 soccer balls to the middle school and 6 soccer balls to the lower school. There was lots of joy provided by that donation for all involved. 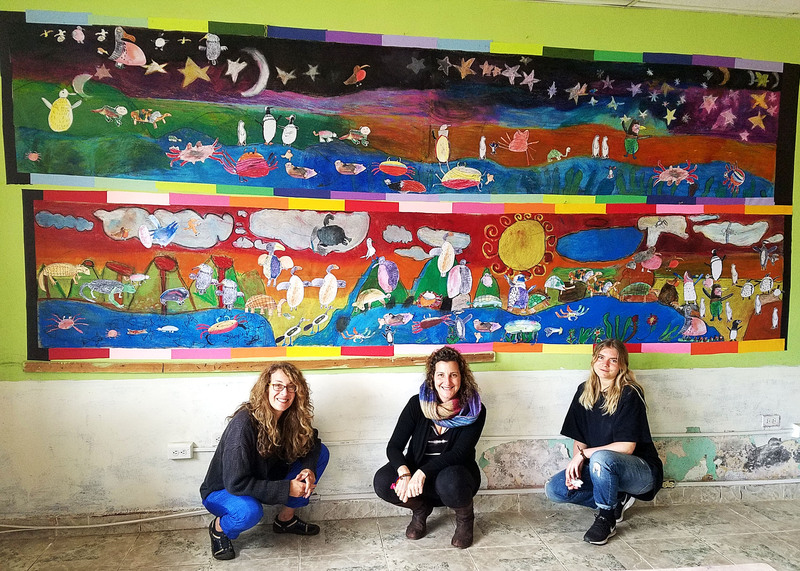 For the week of Feb 19-23, the teaching staff of Wendy Newman, Director of Art Education and Katherine Huala, (assisted by Elin Lindblom, Nancy and Rachel) worked with the Kindergarten through 4th grade classes to create a mural of the Galapagos Island animals and landscape. 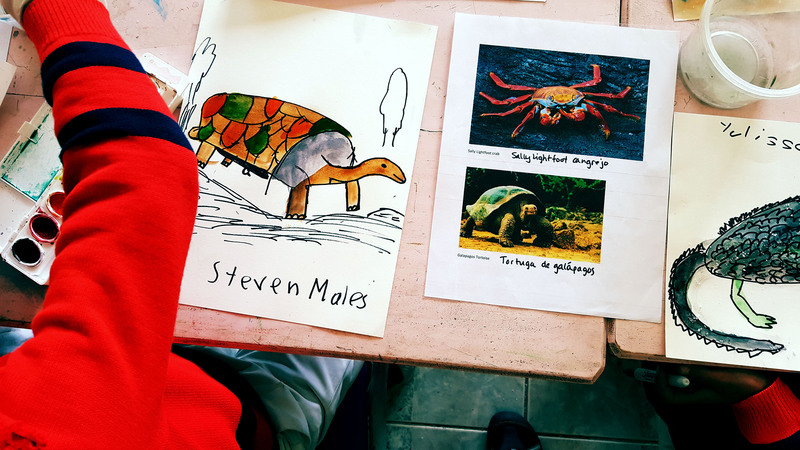 First, they worked to teach pattern and design replication to the younger grades and then moved to watercolor and pastel portraits of animals native to the Galapagos with the older grades. These animals were placed on 2 pastel murals (of the day and the night background scenes) of the islands, culminating in murals fully drawn by all the children of the Guillermo Garcon Ubidia school. 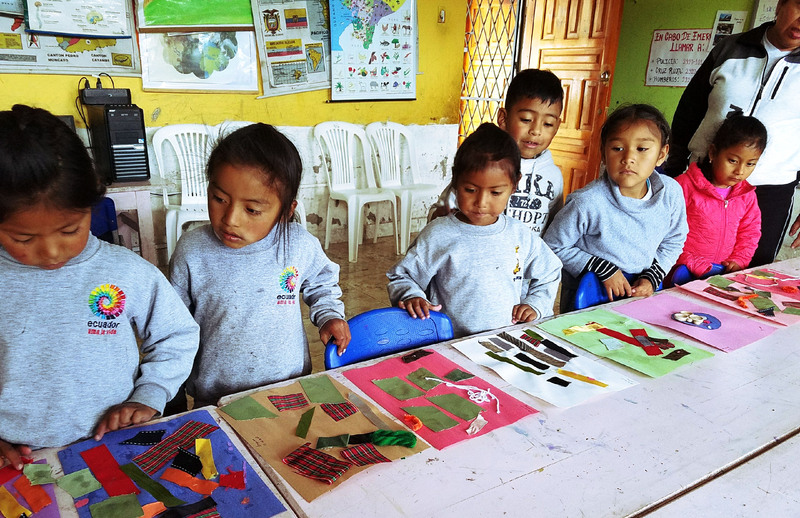 It was a sight to behold, which even the newly hired art teacher in that school, Alfonso, was surprised to see. 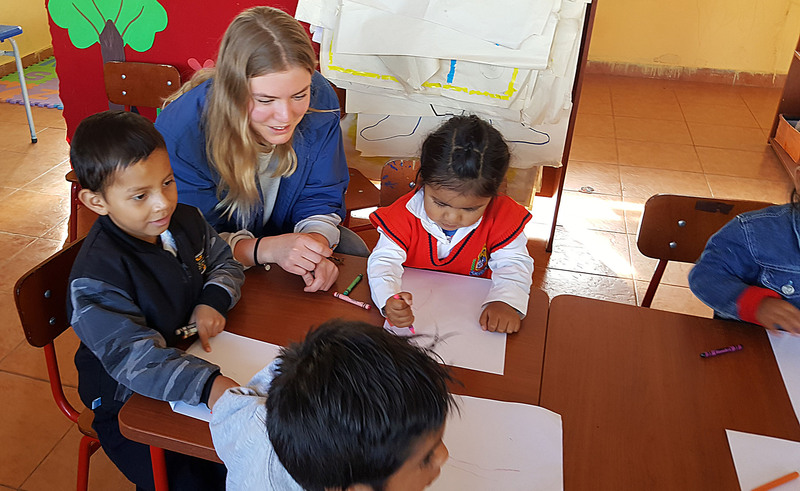 Alfonso assisted in the instruction throughout the week and was eager to participate and help the children in their endeavors. 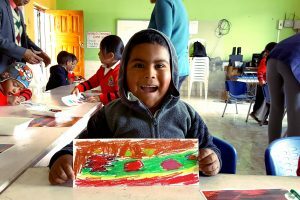 He was excited to be given all the remaining art supplies to continue the work throughout the year with the children. Unfortunately, he will be retiring in the end of this school year. He was a great asset to the project and will be missed. 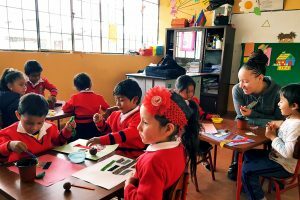 In addition, there were 2 days of teacher instruction provided by Katherine Huala and myself, in working with difficult children and special children’s needs. 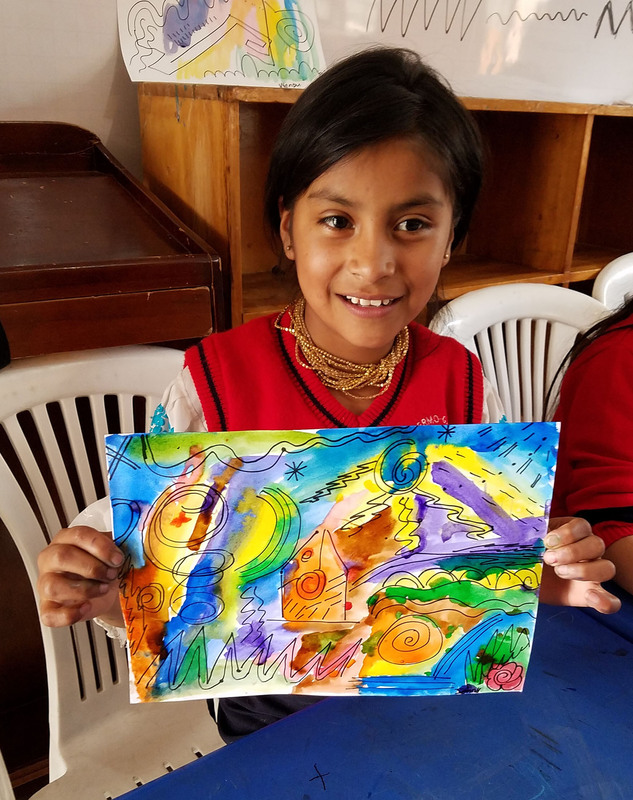 We also focused on what can be learned about a child through the process of art and how it can be used to assist in understanding and supporting traumatic events in children’s lives. The teachers were very engaged and open to sharing their own experiences while trying to get feedback and support in their challenging work. 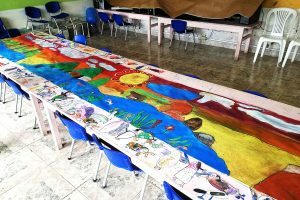 On the last day, there was an exhibition of the work that all the classrooms had done and the murals were permanently installed on the wall of the old computer room. 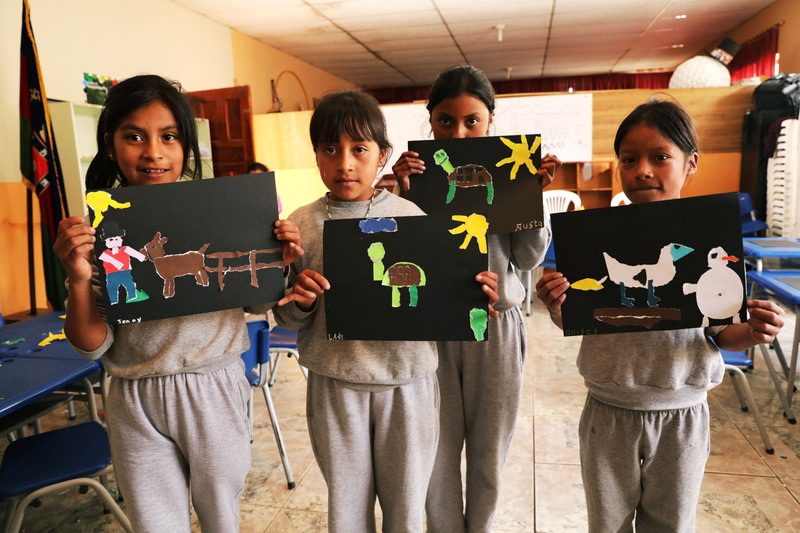 Next year, we have offered to work with the middle school children providing art instruction. 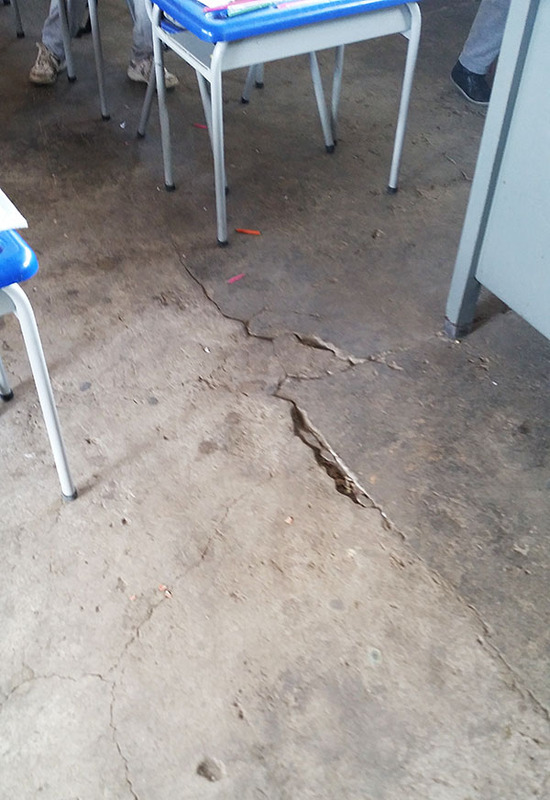 We have also been asked by the middle school teachers to help provide laptop computers for the computer room (which presently has antiquated, broken desktops). We have committed to providing 16 computers and presently have collected 10. Donations are always welcome for next year’s project. 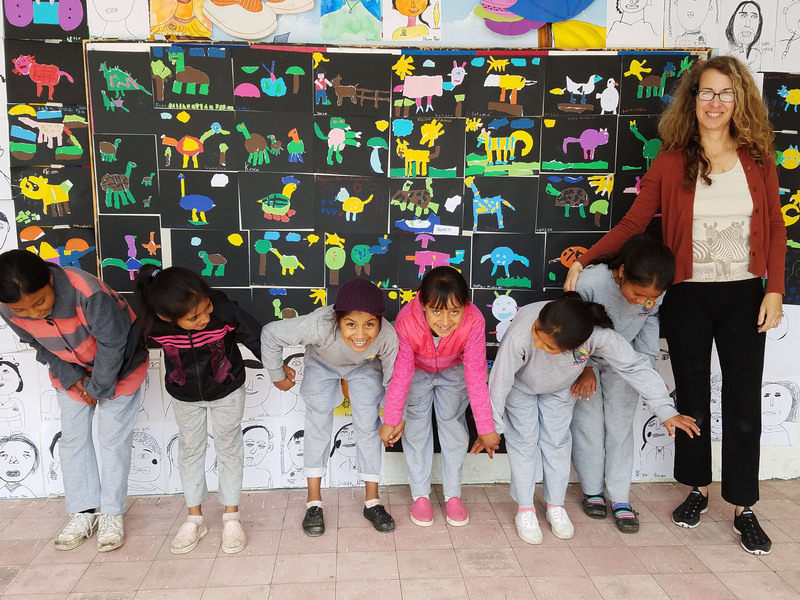 We are pleased announce that Wendy Newman has been named Director of Art Education for Los Niños. Wendy has worked in the field of art education for over 20 years. She received her MFA from Rutgers University and worked for non profits in art education including Studio in a School. 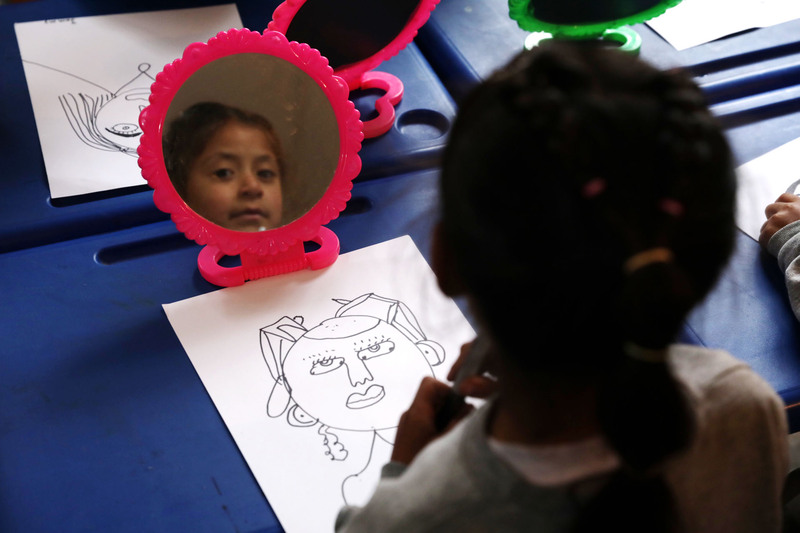 Currently she teaches elementary and middle school visual arts at PS-IS 238 in Brooklyn, NY. Wendy also educates other art teachers as a city-wide facilitator for the NYC Department of Education. 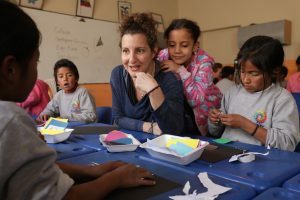 Many of her students’ work have been exhibited in art exhibits around NYC as well as in the Galapagos Islands. During her free time, Wendy enjoys being active, going on adventures with her family and visiting museums. 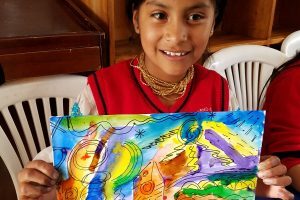 After volunteering for the first 2 projects she is very excited to be named the Art Director for Los Niños.